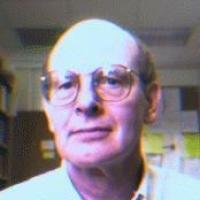 Professor Hodel is currently working on a number of projects. LOGIC, TOPOLOGY, MATROID THEORY: WHAT DO THEY HAVE IN COMMON? A quick answer: fundamental concepts in each of these branches of mathematics can be described in terms of a closure operator that satisfies certain axioms. These ideas are due to Tarski, Kuratowski, and Whitney respectively. We take a somewhat different approach and use the closely related notion of a nearness relation. This gives a somewhat more geometric approach to the ideas under discussion; numerous applications of this approach are obtained. A THEORY OF CONVERGENCE BASED ON KAPPA-NETS. This theory is very similar to convergence based on nets, but the directed set in question is always the collection of all finite subsets of some infinite cardinal kappa. This restriction allows one to take advantage of the eligence of the filter approach while retaining the intuitive advantage of nets. An immdediate application: a simplified cryptomorphic description of a topology in terms of convergence. This theory also yields characterizations of various covering properties (for example, Lindelof spaces) in terms of "generalized" kappa nets that have cluster points. INTRODUCTION TO MATHEMATRICAL LOGIC I am currently working on a second edition of my logic book.